Earlier this month, we noted that the iTunes Music Store had gone live in 56 new countries, nearly doubling the number of countries with access to the store. At the time, Apple noted in its press release that movies were also being launched in Russia, Turkey, India and Indonesia with "select additional countries" also scheduled to offer the film content. 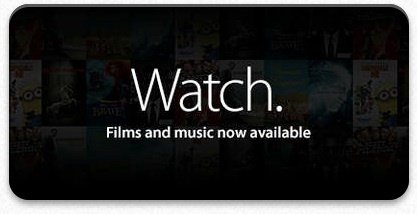 Beginning earlier today, a number of MacRumors readers began reporting that movies had gone live in their countries, and AppleInsider has compiled a list of 42 new countries where movies are now available. The new additions mean that just ten of the 56 countries that added music content earlier this month have yet to begin offering movies. Those countries include: Barbados, Bermuda, Burkina Faso, Fiji, Kazakhstan, Kenya, Kyrgyzstan, Nepal, Papua New Guinea, and Uzbekistan. Honestly, who cares? 99% of us are from US, UK, or AUS. Probably the people who live outside those countries? People like you are to blame to most of the world's problems. If it doesn't effect you, you don't care. What a shame. About this post no one cares. In this posters defense... I'm sure he just meant who cares here on MacRumors. Because we are all english speaking, therefore most of us live in english speaking countries. this is important for apple, and important for the many people that live in those countries, but you and I as individuals it doesn't really affect. I would think that out of all active MR posters MAYBE 1% are from any of those 42 countries. 3. Can't people just be happy for others to enjoy what they already enjoyed for years? Don't be too occupied with your own problems. I am always happy to hear about the success of a company, even if it does not effect me directly. Nice to see that Apple is expanding geographic coverage ... but in order to be successful in new countries they need to provide movies with subtitles in local languages. The original post seems to fall into the category of a mindset of a lot of this country (including my Grandpa) that their world view ends when you reach the East or West coast...there's really nothing out there, and I know a few whose world ends at their city limits. And then an explainer-in-chief taking time to quote six other posts to enlighten the public on somebody else's mind set? If that isn't my long suffering Grandma defending Gramps I'd be totally surprised, except neither uses a computer.